Ed will be presenting another edition of Friday Night is Music Night for BBC Radio 2 on Friday, 17th May at the Forum Theatre in Bath as part of the Bath Festival – come along and see us if you can! Ed is standing in for Elaine Page on BBC Radio 2 this Sunday 14th April from 1pm-3pm. And he is going to be playing his and listeners’ favourite Tingle-Moments - the song from a musical where you always gasp or smile or shed a tear. (For Ed, it’s when the Von Trapp children sing get to sing the Sound of Music with their Dad). After a grueling week of debilitating altitude sickness, severe weather changes and basic camping conditions, Ed and the rest of the team finally made it to the top of Africa’s highest mountain. The team climbed the equivalent of nearly four Ben Nevis’ and 18 Eifel towers, all to raise life-changing funds for Red Nose Day. A one-hour special documentary of the challenge Kilimanjaro: The Bigger Red Nose Climb will be broadcast on BBC One, Wednesday 13th March at 9pm. Ed speaks at a Forum event, hosted by the Harvard Kennedy School’s Institute of Politics, on how Britain got to the point of Brexit and what is likely to happen in the run up to the UK leaving the EU on 29 March 2019 - and beyond. Ed is joined on the panel by Harriett Cross, British Consul General to New England, and Amanda Sloat, Senior Fellow at the Center on the United States and Europe, Brookings and Fellow, Project on Europe and the Transatlantic Relationship, Belfer Center for Science & International Affairs. The Forum is moderated by Cathryn Clüver Ashbrook, Executive Director, The Future of Diplomacy Project and Executive Director, The Project on Europe and the Transatlantic Relationship. In his follow-up to last year’s Travels in Trumpland, Ed will head across Europe, discovering how the divisions exposed by Brexit are reflected in the rest of the EU. Ed will visit the continent’s most volatile countries, exploring whether Europeans still share the same values as in previous eras. The documentary will air on BBC 2 later this year. 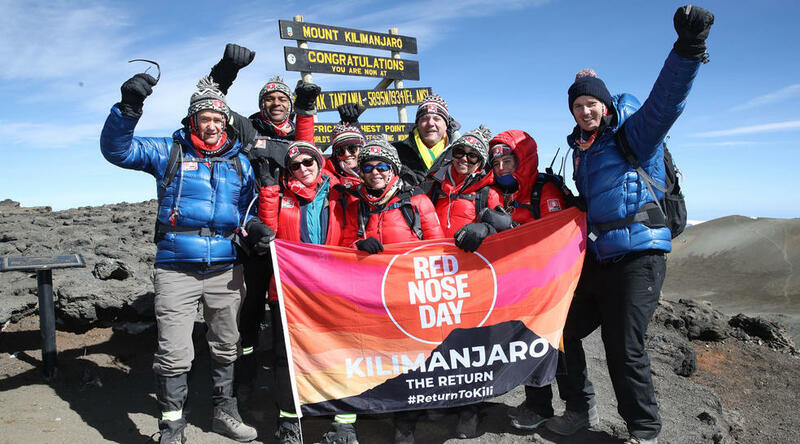 Ten years after the legendary climb of Mt Kilimanjaro which saw Chris Moyles, Gary Barlow and Cheryl attempt to summit Africa's highest mountain, a new team of celebrity explorers will return. 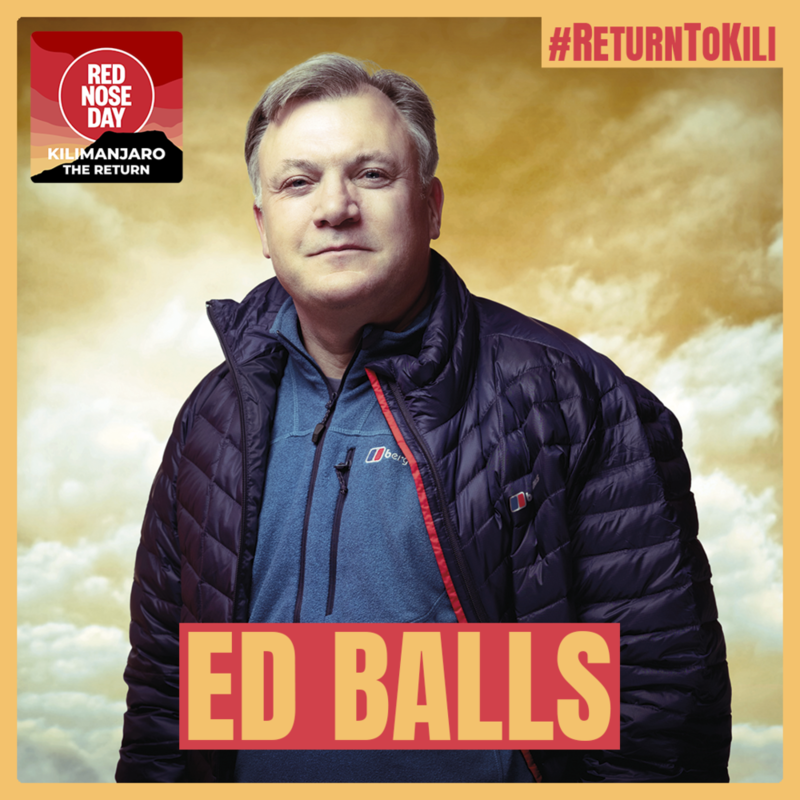 This time, the Red Nose Day challenge will see Ed Balls, Dani Dyer, Osi Umenyiora, Jade Thirlwall and Leigh-Anne Pinnock of Little Mix, Shirley Ballas, Dan Walker, Alexander Armstrong and Anita Rani form the squad who hope to raise more money for the annual charity event. 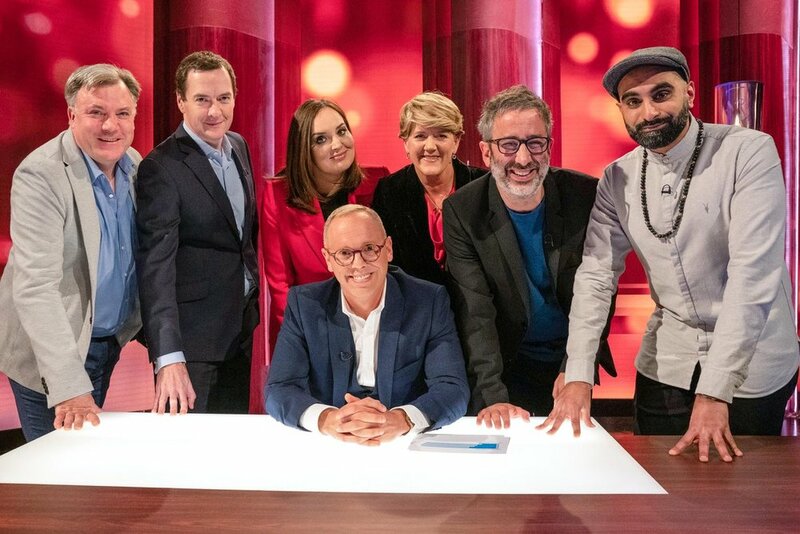 The band of nine begin the ascent in February for a special one-hour documentary to air on BBC One. You can read more about the climb and how to support the intrepid explorers here. This paper represents the fourth phase of a research project at the Mossavar-Rahmani Center for Business and Government, Harvard Kennedy School, where Ed is a Research Fellow. The paper examines the impact of Brexit on small and medium-sized British businesses, examining their views as we reach the endgame in the Brexit negotiations. This research is primarily based on 180 interviews with over 120 small and medium-sized businesses, academics and trade association over the past two years. The key conclusion from these interviews is unambiguous: the vast majority believe a “No Deal” outcome would be extremely damaging, and is a “worst-case scenario”. While preferable to “No Deal” the “Blind Brexit” that would result from the combination of the DWA/DPD would mean continued and damaging uncertainty, which is already having a negative impact for many businesses. While the DPD still leaves the shape of the post EU transition unresolved, most businesses would prefer a closer relationship with the EU than it currently envisages. I’m stepping down as Chairman of Norwich City Football Club on Boxing Day after three years in the role, and will become Vice-President and Club Ambassador. "Having had to accept several decades ago that I would never play for Norwich City, it's been the next best thing - and a dream come true - to serve as the Chairman of the football club I have supported all my life. 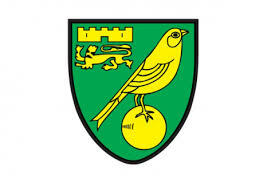 And like so many Norwich fans, I'm loving watching Norwich play this season. It’s great to see all the changes that we have put in place together over the past eighteen months now delivering such success on the pitch. Huge credit goes to our Head Coach Daniel Farke, Sporting Director Stuart Webber and everyone at Colney and Carrow Road. "When Delia and Michael asked me to join the Board as a non-executive Director back in 2015, and then at short notice to become Chairman, we agreed I would do the job as Chair for a year. With all the turbulent changes we have faced following relegation from the Premier League, that term has been extended - and for all the highs and lows we've faced in that time, I've regarded every moment as a privilege. But the three-year anniversary of my appointment on Boxing Day is now the right time for me to stand down. "It's been a very tough and turbulent three years and we have made some very difficult decisions, but every day has been an honour. I am grateful to my fellow Board members, and all the senior managers I have worked with, for their support. We have all worked together to listen to our supporters, make the most of all the talented people at Colney and Carrow Road - players and non-playing staff alike - and give our Club a real chance of further success. Ed will be hosting Friday Night is Music Night on BBC Radio 2, Friday 23rd November at 8pm. No leotard. No Gangnam Style. Just an evening of glorious music from the world of musical theatre illustrated by casts and stars of the West End stage. Ed will appear alongside Sara Pascoe and Jonny Vegas in the latest series of QI. Tune in to BBC Two at 22:00 on Monday 1st October to watch. Ed will be appearing in Gareth Malone’s All Star Music Quiz on 27th September at 7pm on BBC Two. A special for BBC Music Day, where the nation’s favourite choirmaster challenges two celebrity teams (with a wide range of ability!) to play the answer on their instrument of choice, as well as say it. Read the full press release here. 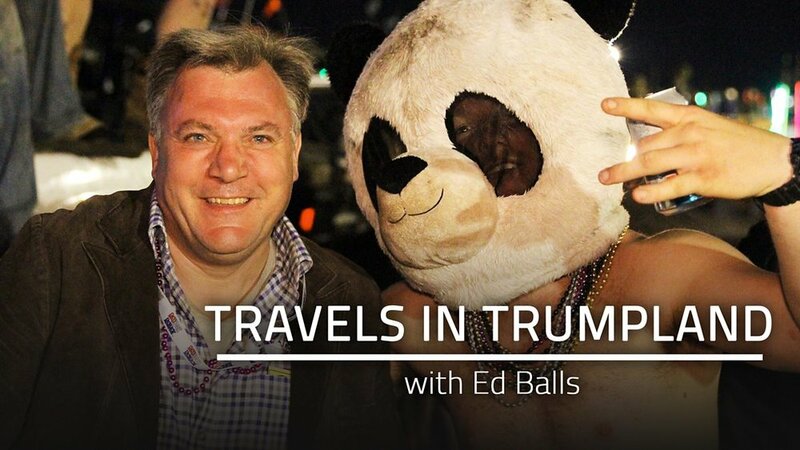 Ed’s new series ‘Travels in Trumpland with Ed Balls’ is now available to watch on iPlayer. Watch it here.